In a recent article entitled “A Hayekian Defense of Evidence-Based Medicine” Andrew Foy makes a thoughtful attempt to rebut my article on “The Devolution of Evidence-Based Medicine.” I am grateful for his interest in my work and for the the kind compliment that he extended in his article. Having also become familiar with his fine writing, I return it with all sincerity. I am also grateful to the THCB staff for allowing me to respond to Andrew’s article. On those counts, I must plead guilty as charged. I have been trying to sink that baby for a number of years now, attacking it from a variety of angles. I have made a special plea in favor of small data and I have even questioned the intellectual sanity of EBM. On the question of the coexistence between EBM and clinical judgment, I have been decidedly intolerant, relegating EBM to second class citizen status. In other words, I’m an unapologetic EBM-denialist which, as I found out yesterday on Twitter, puts me in the same category as climate change skeptics. Accountable care organizations (ACO’s) promise to save us. Dreamed up by Dartmouth’s Eliot Fisher in 2006, and signed into law as a part of the Patient Protection and Affordable Care Act (PPACA) in 2010, we have been sold on the idea that this particular incarnation of the HMO/Managed Care will save the government, save physicians and save patients all at the same time. I dare say that Brahma, Vishnu and Shiva together would struggle to accomplish those lofty goals. Regardless of the daunting task in front of them, the brave policy gods who see patients about as often as they see pink unicorns, chose to release the Kraken – I mean the ACO – onto an unsuspecting public based on the assumption that anything was better than letting those big, bad, test ordering, hospital admitting, brand name prescribing physicians from running amuck. The 3 point shot has revolutionized basketball and turned the NBA upside down. The smartphone has revolutionized health care and turned the doctor-patient relationship upside down. Let’s examine those two statements. Suddenly, the rules changed and the 3 point shot was created. With new rules, new values. With new rules, new math, new economics for the NBA. What had been valuable- the dominant big center to defend the basket- is no longer as valuable. What had not been as valuable- a small, quick, long distance shooting guard, and those best suited to defend against them- now are a valued resource. The evidence of this ‘transformative innovation’ is everywhere; from Stephen Curry, a small nimble, excellent shooting guard, winning the NBA MVP award to the NBA finals between the Cavaliers and the Warriors- where the defense is as fierce at the 3 point line as it is right under the basket. Are Your Health Cost Savings an Illusion? 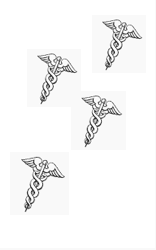 The New England Journal of Medicine carried an excellent article by David Casarette, MD, on the topic of health care illusions and medical appropriateness. Click here to read the full article. Hats off to Bob Stauble for a heads up on this article. Casarette observes that humans have a tendency to see success in what they do, even if in truth there is none. Casarette writes, “Psychologists call this phenomenon, which is based on our tendency to infer causality where none exists, the ‘illusion of control’.” This illusion applies in all walks of life, especially in politics and parenting, and it includes medical care as well. In medical care, the phenomenon has been referred to as “therapeutic illusion“, and it impacts both doctors and patients. Undoubtedly, therapeutic illusion is why placebos can so effective. For most Americans, $280,000 might represent the price of a home or perhaps their entire retirement savings. But for the 1.3 million people in this country stricken by rheumatoid arthritis (RA)that quarter million dollars could be their drug bill. Rheumatoid arthritis is a debilitating disease that causes painful inflammation and swelling of the joints. Left untreated, it can lead to permanent disability. Thankfully medications such as Enbrel, Humira and Zeljanzcan keep patients healthy enough to stay active and keep working. Yet the price tag is quickly becoming out of reach. One recent report from Express Scripts found that spending on drugs that treat inflammatory conditions such as arthritis rose 25 percent in the last year alone. The annual cost of treating the nation’s RA sufferers is expected to reach $9.3 billion by 2020 – a 45 percent jump from 2013. For a 45-year-old patient recently diagnosed with RA, the lifetime cost of medication is likely to exceed $1.4 million. Even if that person has 80 percent of their costs covered through insurance, the math works out to $280,000 in copays alone. There’s something out of kilter when families may be forced to choose between investing in a home or easing a loved one’s pain. Yet that is exactly the sort of Catch-22 some will face if we do not find a sensible way to price drugs. Of life’s two certainties, death and cataracts, it seems statins defer one and prompt the other, although not necessarily in the same person. If you blindly love life you may be blinded by your love for life. In the HOPE-3 trial, ethnically diverse people without cardiovascular disease were randomized to 10 mg of rosuvastatin daily and placebo. The treatment group had fewer primary events – death from myocardial infarction (MI), non-fatal myocardial infarctions, and non-fatal stroke. For roughly ten MIs averted there were seven excess cataracts. Peter may be blinded without being saved. Paul may be saved without being blinded. And then there is Rajeev who may be blinded and saved. But the very nature of primary prevention is that you don’t know you’re Peter, Paul or Rajeev. So everyone is grateful to statins. Not even God of the Old Testament had such unconditional deference. Once you’re taking statins there is no way to disprove that any and every breath you draw is because of statins. Statins enjoy the metaphysical carapace, the immunity from falsification, which not even God enjoys. At least you can experiment with God. Don’t pray for a week and see if you’re still alive- you know if God really cares about prayer-adherence. Even if you die at age 55 on statins, you can never disprove that you wouldn’t have died sooner if you weren’t taking statins. On a recent shift in the Emergency Department, a resident boasted to me that she had convinced a patient to have an MRI done after discharge, rather than in the hospital. She was proud of this achievement because MRIs cost much more in the hospital than they do elsewhere – sometimes thousands of dollars more. To advocates of “cost-conscious care,” a new movement in medical education that aims to instill in young doctors a sense of responsibility for the financial consequences of their decisions, this story seems to belong in the ‘win’ column. But this story also raises troubling questions: Why wasn’t the resident more concerned about how the hospital’s charging practices were leading her to delay care for her patient? What about the prolonged anxiety the patient would suffer? What about the extra day of work she would have to miss? And most importantly, why does an MRI cost thousands of dollars more in the hospital than it does across the street? Like many doctors, she had fallen into the ‘transparency trap.’ This phenomenon is an unintended consequence of price transparency efforts that have come in response to patients and doctors being kept in the dark for decades about the prices of common services. Unfortunately, as the CEO of one large hospital put it, “the vast majority of [prices] have no relation to anything, and certainly not to cost.” In fact, studies have shown that in a functional market, MRIs would cost somewhere around $250, and we wouldn’t be nearly as concerned about doing too many of them.